1.2. The ‘Event Organiser’ is the person, persons or company in charge of the event listed on our website. 1.3. ‘Race pack’ or ‘race number’ is the entry you are paying for. 1.4. ‘Early bird discount’ is a reduced rate which is charged for entires before a specific date. 1.5. ‘Service fee’ is the amount in pounds sterling paid by the customer for each entry they purchase. 2.1 Race Number is a provider offering a collection of events that can be entered and paid for online. 1 We give the ability for participants to log on then quickly and securely enter events of their choice. 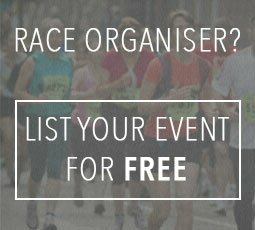 2 We offer event oragniser’s a service of listing their events on our site free of charge. 3.1 The event entries you make through Race Number are all electronic; you will not receive a product, only a confirmation email by us. Confirmation emails will be received almost instantly however please allow for delays within your email server. Please add us to your safe sender list. We recommend you also check your junk mail folder before contacting us if you can’t see your confirmation. 3.2 Each event has a different process for delivering and collecting your race pack/race number. These will be detailed on the event page. If these details are not listed on the event page you will be contacted directly by the event organiser directly. 3.3 The entry fees listed on Race Number will be no more than what you would pay if you were to enter via alternative methods. This does not include our service fee which is detailed on each entry. 3.4 Occasionally oragnisers will offer a discounted price if you enter their event early however this is seen as an ‘early bird’ discount and does not reflect to true cost of the event. 3.5 All data collected will be held by Race Number and only passed to the relevant race organisers- no third parties. 3.6 From time to time you may receive emails from us. Don’t worry, we won’t spam you, just the occasional email highlighting any exciting events on our website. 3.7 We recomend you change your password on a regualr basis to help keep your account safe. 4.1 All events listed have a closing date. No entries will be taken after this date and time. 4.2 Each event has an address with postcode so the start location can be located easily. 5.1 All prices quoted are in £ pounds sterling. 5.2 All major credit and debit cards are accepted as a means of payment on the Race Number website. We offer payment via a secure payment page using our secure online gateway provider Global Pay. 5.3 Your card details are not stored by Race Number, during the payment process you are forwarded to a secure page hosted by Global Pay and they handle the secure transaction. 5.4 We understand not all customers are not totally happy using their card details online that’s why we have alternative methods in place. Depending on the event oragniser you may be able to print off an entry form, fill this in and post it to them. If this option is available you will see the download entry form button next to the enter now button on the payment page. 5.5 All prices are inclusive of a Race Number booking fee. 6.1 All entries are non transferable unless stated within the event’s terms and conditions. 6.2 Prior to an event in mitigating circumstances some event organisers may refund entries in full if advanced notice is given, this is their discretion and race organisers should be contacted directly via the event page. This is not the responsibility of Race Number. 6.3 If an event is cancelled and does not go ahead; users are entitled to either a full refund minus a £1.00 admin fee which was included in the cost of your initial entry, or if the event is rearranged, the paid entry will be transferred free of charge to the rearranged event on the new date. 6.4 If an event is rearranged, all entrants will be notified by email and will have 4 weeks (28 days) from the date of this announcement to notify Race Number if they wish to claim a refund before their entry is automatically transferred. 6.5 If an entry is transferred to a new event it is not classed as a new entry and therefore non refundable. 6.6 To claim a refund; it must be within 7 days from the date of purchase, after this date it is the discreftion of the event organiser, please contact us via our Refunds page to claim a refund. 6.8 Race Number will process your refund within 21 days and the funds will be credited to your original payment method. 6.8.1 Refunds are subject to a £0.50 admin fee. 6.8.2 Refunds given due to condition 1.3 are not subject to the £0.50 admin fee. 6.9 If the refund process fails, a personal cheque will be posted in the name of the registered account holder with Race Number to the address provided on the refunds page. 7.1 Each price quoted on the website is in addition to a service fee. 7.2 The minimum service fee payable is no less than £1.00 GBP. 7.3 The maximum service fee payable is no more than 10% of the event entry cost. 7.4 Organisers may offer a discount on their events with the use of a coupon/voucher code. Coupons must be entered within the checkout area prior to confirming your entry. Coupons are valid up to date the organiser states in their communications with you. Race Number resrves the right to remove this feature at any time. 8.1 If you are a new event oragniser you will need to be authorized by Race Number before you can list your first event. Subsequent events can be listed under your username at free will. 8.2 You are required to provide all the relevant information for your event. This information is required upon event creation. 8.3 You are required to offer a specific number of entries into your listed event(s). 8.4 Once these entries have sold out your event will no longer take any new entrants. If you do not have a limited number of entries, please enter ‘99999’ as your number of entries available. 8.5 Unless a payment agreement is signed, all funds will be held by Race Number until the event has been successfully completed. 8.6 All funds will be paid in full within 5 working days by electronic transfer or by a personal cheque after your event has successfully taken place or on the designated date within the payment agreement. 8.7 If your event is cancelled please direct all online entrants to section 6.0 of our terms and conditions. 8.8 If your event is rearranged please direct all online entrants to section 6.0 of our terms and conditions. 8.9 You have a right to cancel your agreement with Race Number at anytime, all funds will be paid upon successful completion of your event. Outstanding funds will be paid in line with the conditions. 9.1 You can view the Information Security Policy here. For general enquiries please use our Contact Us page and one of our team will get back to you straight away.